Our rustic iron Christmas tree display stands are the perfect way to display your southwest and rustic ornaments for a unique and festive tree this season. 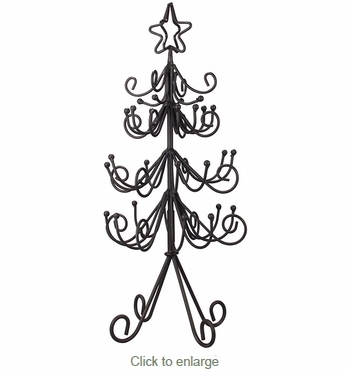 Our wrought iron trees are handmade by Mexican iron crafters who have mastered this age old craft. As with all of our hand crafted items, expect some variations in size and finish with these metal Christmas tree displays. Ornaments sold separately. See our Mexican Blown Glass Ornaments.